The Tudors take a break from league action tonight, with a midweek Herts Senior Challenge Cup tie. Following up from Saturday's league win at Bath City, The Tudors face Colney Heath at the third attempt, with this First Round tie being postponed twice already due to FA Vase and FA Cup replays. The game will be played at Vauxhall Road on Tuesday 6th November with Kick-off at 19:45. The winners of this tie will face an away game in the Second Round, versus the winners of Hitchin and Tring Athletic. The Mapies were without a game at the weekend and we last in action last midweek, beating Stotfold 4-0 in a Spartan South Midlands League Premier Division game. With this being the first home game for newly appointed manager Joe Deeney, we are expecting a large attendance for this game, so please arrive early to help ease congestion in the local residential streets and at the turnstile. There are likely to be queues in the moments leading up to kick off. Access is via Vauxhall Road only - there is a turnstile on the Tenzing Road side of the ground, however this will not be in use for this fixture. 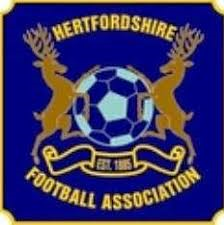  LADIES RETURN TO LEAGUE ACTION THIS WEEKEND Following on a League Cup victory last weekend, Hemel Ladies travel to Welwyn on Sunday to face Sherrardswood Ladies.